At Elkins Physical Therapy and Sports Injury Clinic we strive to provide our clients the very best physical therapy treatment. Physical therapy treatment truly benefits a wide variety of issues. Our highly educated and dedicated staff analyze your specific situation and provide a customized plan to help you reach your individual goals. If you have recently encountered a surgery, injury, disability, or other ailment that has decreased your mobility, our caring team is ready to help you get moving again. If you would like more information on how we can help you, give us a call today or fill out our online Contact Form. We look forward to hearing from you. 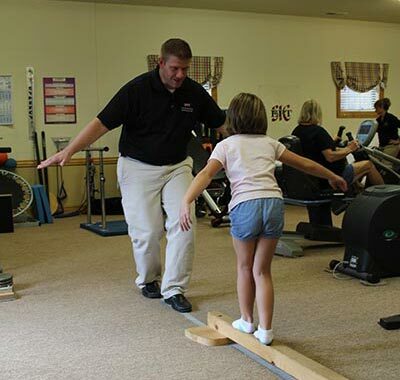 Physical therapy treatment provides patients with many rewarding benefits. One of the key benefits that physical therapy provides to patients is a better understanding of how their bodies function and heal. We strive to educate our patients on their specific issue and counsel them on ways to help their body heal naturally. Through physical therapy treatment, many patients discover how to eliminate pain, put less stress on their joints, and strengthen their core and other muscles needed to increase their mobility. We strive to empower our patients to be actively involved in their healing and recovery process. We also focus on helping each patient emotionally heal and work to take back what they lost or find new ways to function when needed. We help put our patients in the driver’s seat of their recovery process and learn valuable skills that they can use throughout their lifetime. Above all, we want our patients to remain healthy and point out ways to avoid reinjuring the body. If you would like to work with one of our knowledgeable physical therapists, give us a call today or fill out our Contact form.